It was great to have one of the largest West Philly Runners groups of all time end up at my house for some drinks last week. I'm looking forward to doing that again sometime in the Spring. For now, I'll be knocking down walls on a weekly basis, so if you're into that, just give me a shout and I'll put a crowbar in your hands. Chili Cheeks 7.2 Mile Trail Run. February 24. Hosted by Pretzel City Sports in Reading, PA, this is a super fun "show them how tough you are" kind of trail race. There are whispers of interest from several WPRs who have represented at this race in the last 2 years. Very good chance that there will be a spot for you in a carpool so just let people know that you are interested. Lenape Survival Challenge. April 27. At long last, registration is finally open for the challenge. I love everything about this race: it combines hilly running (this year it's a trail race) with canoeing; pairs you with a partner and forces you to finish your run together (so that you can pile into the canoe together); and let's you compete with a tribe of three or more pairs of runners/canoers to compete with other tribes. This year, I want to get a big group of WPRs to come out and participate. I put out a very unofficial registration for the race HERE and had 11 people show interest without ever advertising it beyond my gmail status. Basically, there's going to be a good crowd of -like-minded West Philly Runners ready to have a great time running and paddling. Registration is going to be a little tricky. 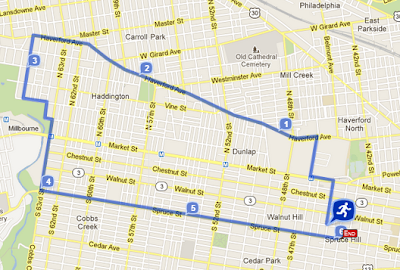 If you know who your partner is, you should register immediately and list your tribe name as West Philly Runners. If you don't know who you want to partner with, register on the eventbrite page here and we'll pair people up in a few weeks. Early bird registration ends on February 8 and is $55 - I know this seems high, but it includes the canoe rental. After Feb 8 the price goes up so it makes sense to get our teams together as soon as we can. Still unsure? Just talk to me for 5 minutes and I'll convince you that this race is absolutely not to be missed. 26 x 1 Mile Marathon Relay Challenge. May 18. 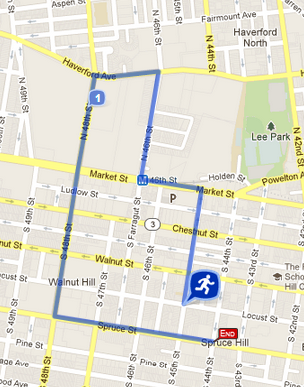 WPR's official race is happening again this Spring. 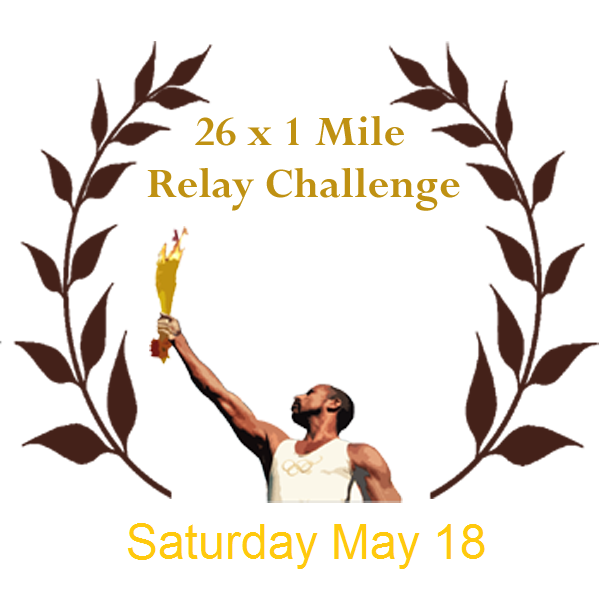 We will race against other local running groups as a team of 26, running 1 mile each for a collective marathon. 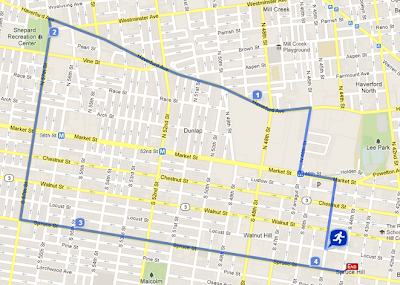 The race takes place outside the Horticultural Center in beautiful West Fairmount Park (our backyard). We're putting together our team now.